Forty years ago, Olivia Newton-John launched a million dreams — and, later, feminist backlash — when she stepped onto a high-school field in a pair of skintight black pants, puffing a cigarette, her hair tarted up in curls. As Sandy in ‘Grease,’ she became the embodiment of the good-girl-gone-bad, the one who ditched her cardigan for a leather jacket and swiveled her hips suggestively as she teased a gobsmacked John Travolta about how to keep her satisfied. Today, at 70, she’s singing a different song. “I’m a housewife and I’m loving that,” she enthused in a phone interview from her home outside Los Angeles. She is also now an author. Her book, the memoir ‘Don’t Stop Believin’’ — its title borrowed from her 1976 hit, not the Journey song or the ‘Glee’ remake — came out on March 12. Anyone who has been through a supermarket checkout over the last few decades can probably understand why Newton-John might be concerned. Since she was diagnosed with breast cancer in 1992, the singer-actress has been a tabloid target, her health the subject of wild speculation. When cancer returned in 2013, to her sacrum, the singer-actress was able to keep it mostly under wraps. But in September, after she checked herself into the Melbourne cancer center that bears her name, rumors spread that she was near death. Five months after she fractured her pelvis, Newton-John is moving much better, without the help of a walker, she says. But the incident has shifted her priorities. She talks less about singing and more about caring for herself, her family and her mini-horses, dog and cat. “Table tennis and ponies have replaced horseback riding and real tennis,” she says. She’s completed radiotherapy and is receiving hormonal and alternative treatments. Her days begin with a thick green algae drink prepared by her husband, John Easterling, who owns an herb company; she also takes medicinal cannabis. She admits to being equally nervous about the sexually suggestive 1981 music video ‘Physical.’ At the time she worried “it was too raunchy and racy.” It turned out to be her biggest record, and now her only regret is that she didn’t start a leotard company then. “Jane Fonda kind of took that spot from me,” she jokes. As a Hollywood tell-all, Newton-John’s book is not terribly juicy. It’s more gossip-dispelling than gossip-spilling: She and John Travolta were never more than good friends, she had to be sewn into those ‘You’re the One That I Want’ black pants every day, the red heels were her own, people still call her Sandy and she doesn’t mind (how very Sandy!). There are nonetheless some surprises: Newton-John, we learn, is the granddaughter of Max Born, a Nobel-prize winning physicist, a Jew who left Germany with his family in 1933. Her Welsh father was an intelligence officer with M15 during the Second World War. Newton-John failed music in high school. There are also unsettling tales of Newton-John’s illness — of discovering a mass following a car accident in 2013, of her lying on the floor of her Las Vegas dressing room in agonising back pain. One thing she adamantly wants to do, she says by phone, is auction that black leather Sandy jacket (which still fits) along with the matching pants. 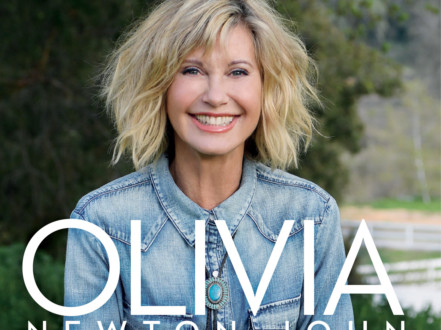 The proceeds will go toward the Olivia Newton-John Cancer Wellness & Research Institute she founded. Never mind what the critics say about the message of her famous outfit: “I hope a billionaire wants to buy it for his daughter!” she says.